I rolled out of bed at 5:45 on the 28th of October last week and hopped into a luke warm shower. Obviously, getting up at that time on a Friday morning would seem ridiculous on a regular day, but today was a special day. Heading to Amsterdam. Just over three hours on a bus until we reached the Netherlands. I remember that I was curious to know how I would find sitting on a bus for over three hours. After a lot of waiting around, waiting in line behind other Erasmus students to get rid of luggage and almost “suffocating” as people pushed to get on to the bus; we left Ghent behind and headed to a place unknown. I napped for quite a bit of it but kept waking up, feverishly checking Google Maps to see how far we were to the border. I like to watch changes occurring before my eyes. I began to see the landscape change, becoming more flat. It was incredible to see and the excitement definitely started to build. This would be my fifth country in the space of less than two months. The Netherlands. For me, seeing the car registrations change from BE to NL confirmed even more that I was in a new country. When I was younger, the idea of the Netherlands intrigued me to no end. A country that had reclaimed parts of its land from the sea? As a child I read the legend of the little boy who had stopped The Netherlands flooding by blocking a dyke in the polder with his thumb. As I got older I read more about this country, especially Amsterdam being more liberal in terms of smoking weed and the fact that the Red Light District played a huge part in the tourism of the city. Driving into Amsterdam at first didn’t look so different to that of Ghent, my city for Erasmus. But then I started to see subtle changes that this was not in fact Belgium, but a different place entirely. The street art was even more bold and beautiful than the streets I was used to. We began our street tour of the city. There were even more bikes than Belgium here, its cyclists expertly weaving their way through pedestrians and traffic. We passed multiple Irish pubs. It seems we get around? I could sense a really vibrant culture. Smoking weed was so common in this city. Although I was well aware it was perfectly legal to do so, the smell of it was everything and it was instantly recognisable. To see brothels operating in broad daylight was also shocking yet intriguing to me. This culture was nothing like my own back home in Ireland. That evening we dolled ourselves up for the Halloween Party, the girls expertly applied their makeup and they looked suitable for Halloween. Me? Not so much, I painted cobwebs under my eyes and that was the extent of my Halloween efforts. The trek to the venue was something we didn't expect, an hour walking in the dark with no sense of direction. Many times we wanted to turn around, but once we got there we found the place teeming with hundreds of students. I danced to "Hasta el Amancer", spoke to a South African and also smashed the screen of my phone. An eventful night, no less. And then Saturday afternoon, we found ourselves in the famous, (or infamous?) Red Light District. Our tour guide gave us strict warnings not to take any photos during our time in the area, especially not to photograph the women in the windows. So all I got was a photo at the entrance to the Red Light District. We had a quick walk through, a sort of brothel where girls waited at the door of their tiny rooms clad in almost nothing. I averted my eyes at the beginning, but then I got curious. All the women were stunning with absolutely beautiful bodies. Whether these were natural or not I don’t know but what surprised me that instead of looking vulnerable these women looked powerful, as if they knew the power of their own femininity. I still found myself a bit sad that these women had to sell their bodies, even if it was their own choice. I learned that these women pay taxes, are protected by the law and that working in the adult industry was deemed a proper profession here in Amsterdam. Although I’m half scared or embarrassed to admit it, we even got to see a peep show in one of the many places on the street. A mere 2 euro and a woman literally undressed before our eyes. I can say with full conviction that it personally did nothing for me and I all but ran from the cubicle as soon as the three minutes was up. Something we all commented on was the fact that the woman looked incredibly bored. We spent the day exploring the city once more and ended up inside Ripley's exploring the weird and wonderful artefacts on display. It was certainly interesting. My favourite part was the tunnel that messed with your senses, spinning colours, a moving bridge and music, it was disorientating yet so fun. Amsterdam already seemed to be getting into the Christmas spirit, there were lights up, brightly coloured banners. Not to mention the Dutch were extremely friendly and helpful. 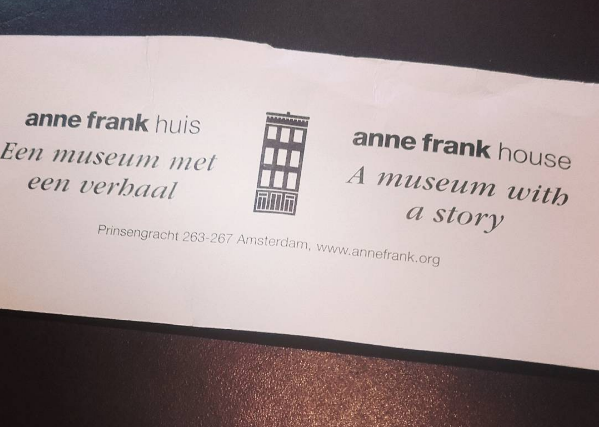 Our final tourist venture was a trip to the Anne Frank House, something I had wanted to do for a very long time. At this stage it was maybe seven o'clock in the evening and I was tired and hungry - not a great combination with a huge queue stretching before me. It was once we got inside the building that my excitement grew once more. I had read her diary countless times as so many millions of people had. Straightaway what I noticed what the emptiness of the rooms within the house. I later discovered that Otto Frank, Anne's father had asked for the rooms to remain empty. To me it made me think even more about the destruction the Nazis caused, how they took everything and left nothing behind but empty homes. To think that over fifty years ago a little girl called Anne Frank walked these rooms made me feel really emotional. She seemed to have such a desire to live and a hope that some find impossible to understand. “I want to go on living even after my death! And therefore I am grateful to God for this gift, this possibility of developing myself and of writing, of expressing all that is in me. I can shake off everything if I write; my sorrows disappear; my courage is reborn. But, and that is the great question, will I ever be able to write anything great, will I ever become a journalist or a writer?" As someone who writes myself I can't help relating to this piece a lot. 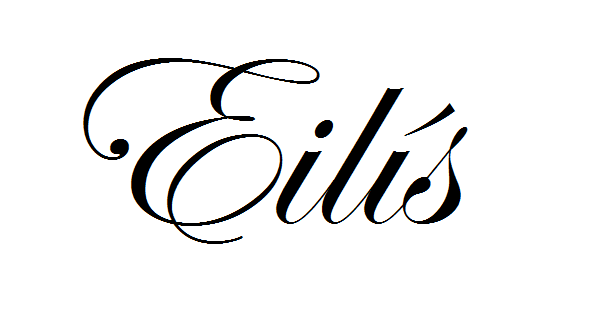 I express myself best through writing, I like to think I have improved as time has gone on. One of my greatest wishes in life is that my writing would inspire someone else, inspire them to write or even make them think or feel better about life. Anne Frank is someone I look up to as someone who kept her faith despite going through great pain. I can only hope to mimic even a fraction of the impact she made on the world. Thanks so much for reading my blog. This is my fifth country in the space of two months. I am incredibly lucky to get these opportunities. Ireland - America - Belgium - France - The Netherlands!